Visitors love Barbados for many reasons. Of course everyone loves the beaches, the great weather and the beauty of the Island but there is a huge range of activities to participate in as well as many historical and cultural activities to enjoy. We are pleased at Villas Barbados to outline some of our client’s favourite things to do in Barbados. Barbados is one of the best islands in the Caribbean for Golf. The quality of the courses and also their close proximity to each other make it a virtual Golfers paradise. The most famous of the golf courses is the Green Money which is located within the Sandy Lane Resort. But the other courses which include Royal Westmoreland, The Barbados Golf Club, Apes Hill Golf Club, The Sandy Lane Country Club and The Old Nine which is also located in Sandy Lane. Our complimentary pre arrival concierge will be delighted to arrange all your golfing needs. Sandy Lane is a complete paradise for golfers. There are three highly rated courses here including the world famous Green Monkey, The Old Nine and The Country Club. In addition, there is a 450 foot Driving Range which is located beside the Country Club Course. The driving range is two sided which gives golfers great practice in hitting balls both with and against the trade winds that are often present. In addition there is a practice bunker and a practice putting green. All wonderful facilities to get warmed up for the game ahead. The Clubhouse at Sandy Lane is a great meeting point before and after your game. It is very luxurious and classic. There is also an excellent restaurant for lunch or dinner after you finish. All golf carts are included in your green fees. One of the great features of golf at Sandy Lane is that both The Country Club and The Green Monkey courses are fitted with a GPS system. This will show you both your distances to various landmarks on the course and also your location. If you are playing at Sandy Lane it is important to note that soft spikes are required and carts and caddie services are also mandatory. The Green Monkey is the most famous course in Barbados. The course was originally designed by Tom Fazio and comprises of a 72 par, 7343 yard golf course. The course was originally carved from an old limestone quarry which lends a unique contrast to the course of rolling greens and interesting rock faces. The course is only open to Sandy Lane residents. The Country Club golf course at Sandy Lane was also designed by Tom Fazio. The course is scenically very pretty as it has a total of five lakes and you will have spectacular views of the sea from many parts of the course. The course itself is also a par 72 and is 7060 yards long. The Old Nine also located at Sandy Lane is the oldest course in Barbados. It was originally constructed in 1961 hence the name. It is par 36 and is 3345 yards long. It is very popular and quite demanding as many of the fairways are tree lined. The golf course at Apes Hill is the newest course in Barbados. It is a championship course and opened in 2009. Because of the elevation of Apes Hill, the views from the course are breathtaking. The course itself is quite challenging and was rated amongst the best in the world. It is a 72 par course and you can choose from two sets of tees. If you choose the professional tees, the course is 7150 yards long and the front tees 5000 yards long. Each of the 18 holes are varied and unique with plenty of undulating surfaces and interesting bunkers. One of the wonderful features of the course is the fact that you get views to both the east and west coast of the island of Barbados. The brand new Country Club House is particularly worth mentioning. It is absolutely exquisite. The facilities include a fabulous restaurant, golf shop, state of the art gymnasium, 2 swimming pools, astro tennis courts, spa and treatment rooms and locker rooms. Apes Hill is very committed to the environment and as a result they have achieved the prestigious certification from the Audubon Society. The Restaurant and Bar area has some of the best views that you will get in Barbados. Located 1000 feet above sea level it is open from 7am to 5.30 pm each day. They offer plenty of choice from a quick snack, to fresh salads to full gourmet meals. The Professional Shop at Apes Hill is also one of the best on the island. They have a great selection of luxury and designer golf clothing and equipment as well as some really nice Apes Hill merchandise. 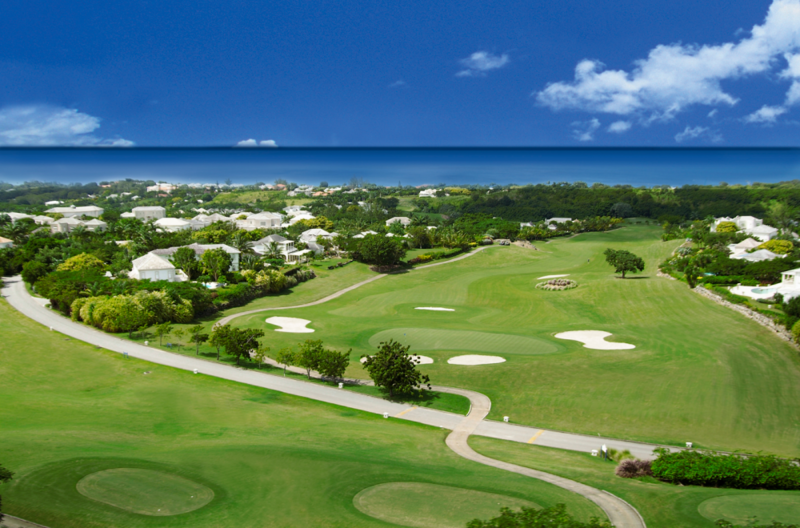 The golf course at Royal Westmoreland was designed by famous golfer Robert Trent Jones Jr. It is a par 72 course and 7045 yards long. The course at Royal Westmoreland has the blessings of being on an elevated site and as a result the views from almost all the holes are stunning. The Club House has been built in an elegant colonial style which overlooks the 9th green and fairway. It has stunning views of the glittering ocean and has an excellent restaurant and bar for lunch or drinks after your game. The menu has a really good selection of dishes with both locally inspired Bajan dishes as well as a selection of international fare. Whichever you choose, the ingredients are always locally sourced. Because of the fabulous views, the bar area is also a great spot to enjoy the sunset and have some sundowners. There is also a really nice pro shop on site. It has everything you might need from golfing equipment, clothing, accessories as well as a variety of Westmoreland merchandise. Brands include Lyle and Scott, Lacoste, Puma, Nike, Adidas, Greg Norman clothing and Galvin Green. You will also be able to book all your tee times, golf buggies and golfing lesions at the pro shop. If you do know in advance of your trip when you would like to play, our pre arrival complimentary concierge will be delighted to help you. Other facilities at the Westmoreland Golf Club include a Driving Range, changing rooms, practice Green and a short game academy. If you decide not to bring your own clubs to Barbados, it is possible to hire them at the club house. There is a wide selection of brands to choose from including Adams, Cleveland and Ping. If you are staying in one of our villa on the south coast, then the Barbados Golf Club located at Durants in the parish of Christ Church is a great option. It is a very well maintained course and all visitors are very welcome here. There is a lovely friendly atmosphere and also a really excellent coaching programme. The Barbados Golf Club is the only public course in Barbados and it is a very credible 72 par 6705 yard long course. The course was hosted the Barbados open on several occasions and also the PGA Seniors tournament on one occasion. The course itself has gently rolling hills and a series of coral bunkers which add a lot of character to the course. It was re designed by well known golf architect Ron Kirby. The new upgraded course is now very environmentally sensitive and also quite challenging even for the most experienced of golfers. There is a very nice club house with a bar and restaurant. Additional amenities include a practice chipping and putting green, a driving range, a golf academy, club rental and a pro shop. Cricket is a huge sport in the West Indies and especially in Barbados. Many Bajans are very passionate about the game and many of the most well known names on the West Indies team have come from here. Several international matches take place each year at The Kensington Oval. But you will also be able to catch local games all over the island. Barbados is one of the best Caribbean islands for Scuba diving enthusiasts. The waters around the island are generally crystal clear and calm and therefore you do not need any special equipment to see the underwater sites and attractions. Some of the best and most beautiful underwater sites will require you to go out a little further and also a little deeper. This is where you will find some really spectacular wrecks and reefs to explore. Barbados is unique in that it is the only island in the Caribbean whose bedrock is made from solid limestone and coral. As a result there are a number of both soft and hard coral species which provide amazing colours and a mesmerising underwater eco system. It is also estimated that since 1666, more than 200 ships and boats foundered off shore. One of the biggest of the wrecks which sunk around the seas in Barbados was the Stavronikita which was a 365 foot long freighter sunk in 1978. It is so large that it might even take five or six dives to see all of it. Barbados is also blessed with two distinct barrier reefs both of which are great for diving. Barbados has several very well trained and experienced scuba diving guides and our concierge department at Villas Barbados will be happy to put you in touch with the right one for you. Some of the most popular dive sites include the four wrecks in Carlisle Bay in the parish of St Michael. These are called Berwyn, Elion, C Trek and Fox. There are also some caves, deep trenches and drop-offs for the more adventurous diver going to Carlisle Bay. You will also get to see lots of stunning coral as well a perfusion of tropical fish, eels, frog fish and sea horses. There are also plenty of more common fish like yellow goatfish, creole wrasse and snappers but Barbados is also home of many larger fish such as barracuda, jacks, tarpon and mackerel. It is also very common to see plenty of hawksbill turtles whilst you are diving in Barbados. To make the diving even more vibrant, you will often find the presence of yellow, orange, green and purple sponges. If you are an advance diver and feel like going off the beaten track a bit, then the dive sites on the east and north of Barbados are worth a visit. The diving here is only recommended for advanced swimmers and divers as the seas often have high waves and strong currents. Other popular dive sites include Bridge Ledge, Clarkes Reef, Fisherman’s Reef and Speightstown Reef. Barbados offers its visitors some of the best deep sea fishing in the Caribbean. You will have an opportunity to catch a wide variety of deep water fish such as Barracuda, Tuna, Dorado, Blue and White Marlin and Wahoo. The best time of the year to go deep sea fishing is between the months of January and April as this is when the game fish are in season. As well as deep sea fishing, there is excellent spin fishing on many of the beaches as well as inshore fishing from open boats. The roads in Barbados are better geared for mountain bikes then road bikes. There are long stretches of side roads and trails to explore and if you are looking to get fit, there are plenty of steep hills. The hard climb to the top of the hills is always well worth it as generally the views from all sides are amazing. We recommend either the Highland Adventure Center or the Flex Bicycle Shop for equipment hire. You can also take out additional insurance. Please contact our complimentary concierge department to arrange it. Barbados has several riding stables located close to the resort areas where you can go on a scenic hack. It is not necessary to have a lot of experience as the rides may be tailored to your experience and level. Generally the groups are kept pretty small and many of the stables such as the Caribbean International Riding Center and the Ocean Echo Stables will pick you up at your villa. Our favourite place to go riding is on the scenic east coast. The views as you come down the hill are breathtaking and when you get to the beach and if you are an advanced enough rider, you can go for a long canter or gallop along the beach with the cooling trade winds in your face. Please ask our pre arrival concierge department for more details or if you have already arrived on your vacation, ask your villa manager to assist you in organising horse riding whilst in Barbados. Barbados is the perfect Caribbean island to do some exploring. The island is rich with history and culture. The island comprises of eleven parishes and each one of this is uniquely beautiful in its own way. Barbados measures 22 miles from the furthermost tip to the southernmost tip and 14 miles in width from the most westerly to easterly tip. It is the perfect size to explore where you will never get bored but you will also never get lost. Guests can also take a tour of the West Coast on a luxury catamaran. Animal Flower Cave We highly recommend a visit to the Animal Flower Cave. It is located below a rugged cliff top at the northernmost point of Barbados. The cave itself comprises of several huge chambers that are filled with pools and really unusual rock formations. The views from outside the cave are stunning. The sea tends to be quite wild and beautiful here with huge foaming waves. There is a restaurant and café onsite should you wish to have a drink or a snack after your visit. The Animal Flower Cave is open daily and there is an entrance fee. It is one of our personal favourite spots on the island. Half Moon Fort is located on the coast in St Lucy close to the most northerly point of the island of Barbados. This is the place to go if you want to experience real Barbados and have a change from the chic hotels and restaurants just slightly further south. Half Moon Fort is a small seaside village where you will see mainly locals and an occasional tourist eating good food cooked outside on wood fired pots and served on paper plates. Even for Bajan standards, the service is unbelievably slow but worth waiting for when you eventually eat delicious tuna or mahi mahi all to the sounds of the lapping of the sea close by. Cove Bay is a very nice and little known picnic spot on the north east coast of Barbados. If you want to get back to nature whilst you are on the island, this is the spot to go. The views are as stunning as the pounding of the waves against the cliffs. Be warned it is not easy to get to Cove Bay. You may have to go through some fields and past some sheep and goats on the way but it is worth it especially when you have this beautiful spot all to yourself. Little Bay is right next door to Cove Bay and we would recommend that if you visit one, you also take the time to go to the other. Cove Bay comprises of interesting pools, blowholes, cliffs and breathtaking scenery. One of the pools is like a naturally carved swimming pool and is safe for swimming. There are also lovely views from here to the most northerly point on the island. We would advise you wear shoes as the rocks can be quite sharp in places. River Bay is another breathtaking spot to view the northern coastline of Barbados. Again it is mostly deserted except for some weekends where you might spot some locals taking a picnic. The cliffs and scenery are amazing and make sure you look out for passing whales as they are often spotted off the coastline. There is also a fresh water river running from the top down to the sea hence the name River Bay! Speightstown is a lovely small traditional and historical town located on the north west of the island of Barbados directly on the beach. If you would like to experience authentic Bajan life, then this is good spot to come. 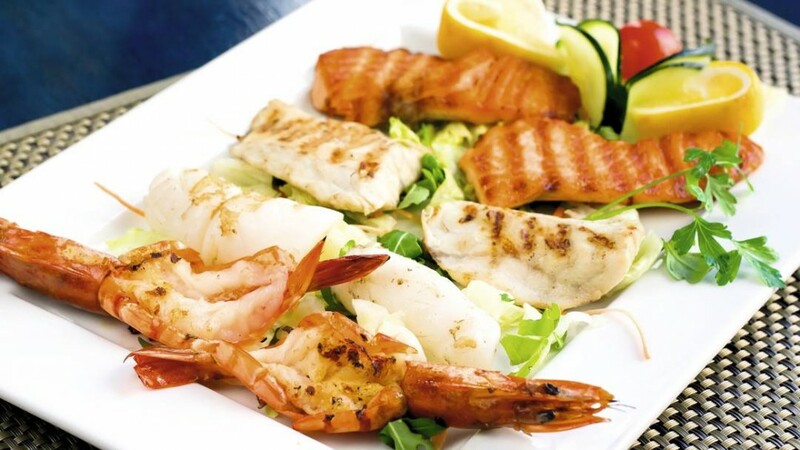 There are a number of excellent casual and fine dining restaurants to enjoy. One of the best known of these is the Fish Pot which is located just north of the town. Arlington House Museum Located within an 18th century historical building in the heart of Speightstown, the Arlington Museum is set over three floors. The exhibits provides interesting information on Barbados’ colonial past, the history of sugar and the sugar plantations through the use of interactive and audio visual communications. In addition, you will be able to find out a lot of information on the prominence of Speightstown as a trading hub of the Caribbean. The museum is open Monday to Friday between the hours of 10am and 5pm and on Saturdays between the hours of 10am and 5pm. Barbados Wildlife Reserve which was originally founded in 1985 by a Canadian man called Jean Baulu is a wonderful place to explore Barbados’ wildlife in their natural surroundings. Jean originally set up the reserve to help protect the green monkeys on the island. The monkeys orginally came from west Africa about 350 years ago and are now found all over the island. Since it opened in the mid eighties other animals and wildlife have been introduced such as iguanas, agoutis, deer, armadillos and red footed tortoises. In addition the reserve has a really nice walk through aviary and a good collection of snakes. There is an excellent information and education centre which has been built from local coral stone. The reserve comprises of over 4 acres of ancient mahogany woods with nice meandering brick paths which you can walk around and observe the wildlife. Most of the animals roam free. Thankfully the snakes do not! Grenade Hall is a restored signal station and a lovely natural forest. When you visit the Grenade Hall, your ticket will also gain access to the Barbados Wildlife Reserve. One of the highlights of a visit to Grenade Hall is the views that you get of Barbados whilst you are here. The signal station was first built in 1819 and is part of a group of signal stations which were used as a way of communicating with each other via code and flags to warm each other of approaching ships and slave rebellions. The signal stations were all constructed on high ground hence the amazing views. After visiting Grenade Hall, it is worth taking a stroll along the paths through the forest as there are some amazing herbs and flowers that are reputed to have excellent healing powers. There is excellent signage as you go around to assist you identify the different specimens. Forest and Nature Trail which is adjacent to the Barbados Wildlife Reserve and Grenade Hall is worth a visit too. It is quiet and remote with very few visitors so you will likely have much of the forest to yourself. There are several benches along the way where you can rest or just enjoy the scenery and the sounds of the rain forest. Farley Hill Park was originally built in 1879 by Graham Briggs so that he could entertain visiting royalty such as King George V. Graham Briggs was a very wealthy British planter and legislator. The mansion was sadly destroyed by fire in 1965 but it is still worth visiting if just to see the striking setting. Today Farley Hill Park is a national park and is operated by the Government of Barbados. The grounds around the park are truly breathtaking. The ruined mansion is tucked behind a lovely forest of Mahogany trees and the views from the top of the hill across to the rugged Atlantic side of Barbados are outstanding. The original house in it’s hey day was considered to be the most impressive mansion plantation on the island. The movie “Island in the Sun” was filmed at the house in 1957 and if you are lucky enough to get a copy of the film, you will see the house in all its glory. Farley Hill Park is well worth a visit and it is also a good venue for weddings in Barbados. Farley Park was opened by HM Queen Elizabeth in 1966 which is the same year that Barbados received its independence. The estate today is often used to host big concerts. One of the best known of these is Reggae on the Hill and if you are a lover of Reggae, we highly recommend you go. It takes place each year around the end of April. magnificent coral stone and there are magnificent grounds to explore as well as a rum distiller on site which you can visit. One of the most interesting aspects of a visit to St Nicholas Abbey is the fact that in 1935, one of the former owners; Colonel Cave created a video of the times which can now be viewed as you go around the house. It depicts really well what life was like during this period. St Nicholas Abbey has a very interesting history. It was first built in 1658 and one of only three Jacobean mansions that remain in the entire western hemisphere. It is therefore one of the most interesting and historic sites in Barbados. Since 1658, St Nicholas Abbey has had several owners including Sir John Gay Alleyne, The Cumberbatch family and The Cave family. Today the Abbey is owned by The Warren family who bought it in 2006. Larry Warren is one of Barbados’ most well known architects and the family have meticulously restored it in order to preserve the island’s wonderful rich heritage. It actually operates today as a working sugar plantation. The main house is an absolute architectural gem. It was built during a transitional phase in English architecture and has Tudor, Elizabethan and continental renaissance influences. There are several very elaborate gables, Tudor arches, pretty chimneys and casement windows. When Sir Gay Alleyne bought the Abbey in 1746, he added a Georgian style arcaded portico. In 1898, some beautiful cedar panelling was added most likely to protect the house from damp. The wood throughout the whole house came from the estate including the front door. The only exception to this is the floor which was replaced by pitch pine imported from North America. As a result of the fact that The Abbey is a working sugar plantation, the Warren family have created a sustainable business of sugar related products. The main one being their signature offer of St Nicholas Abbey Rum. During your visit, you will learn about the history of rum making and also get to see how the rum is distilled. At the end of the tour you will have an opportunity to taste the rum too. The rum in Barbados was not always as tasty as it is today. In the very early days during the 17th century, it was often referred to as “Kill Devil” by the locals! Morgan Lewis Windmill is unique as it is the only one of over 500 sugar mills to be built in Barbados to still exist. It was recently struck by lightning but has been completely repaired. The Morgan Lewis Windmill is run by the Barbados National Trust and also has a small museum. One of the best parts of a visit to the windmill are the views you get from the top. century. There are some interesting exhibits to view including a history and examples of the equipment they used during this time to produce the sugar by wind power. The plantation house that used to be on the site is more or less in ruin but it is still worth a visit whilst you are here. When it was originally built, there was no cement used so as a result, the walls are comprised of boulders which were held together with a mixture of egg white and coral. The Morgan Lewis Windmill is open every day during the crop season. Chalky Mount Potteries is located on the east of Barbados in the parish of St Andrew. The potteries have been producing goods for centuries and it is quite fascinating to go along and watch the potters at work using the same techniques of old. After your visit, there is a place where you can purchase the pottery if you wish and it makes a good gift or memento of our holiday. The other nice aspect of Chalky Mount is the fact that the views of the hills, valleys and east coast coastline are amazing. Barclays Recreational Park was first opened in 1966 by Her Majesty Queen Elizabeth. It comprises of a 50 acre park located on a hillside on the east cost of Barbados. It was gifted to the government of the island by Barclays Bank to commemorate the islands independence. Because of its location on a hillside along the very beautiful Cattlewash area, the views from Barclays Park are breathtaking. The park stretches all the way to the beach. The park is a very popular spot for locals especially over the weekend and on public holidays. you will often see people enjoying a picnic here. Springvale Museum is a little known treasure that is tucked away in the beautiful Scotland District on the east coast of Barbados. When you enter the museum you will feel like you have moved back in time. The museum is a recreation of times gone by. You can almost see the local people going about their daily chores and business as you travel around the house. There are figurines of local people going about their daily lives such as the laundress, the basket weaver, potter and coral stone builder. Both the staff quarters and the house owners quarters are on view and you will get a good feel of the vast contrast between the two lives. What makes Springvale even more interesting is the fact that the owner still resides there. His name is Newlands Greenidge and he is a mine of fascinating information and knowledge on Barbados. Springvale Eco Heritage Museum is truly the labour of love of Newlands and his wife Denise. Behind the house, there is a lovely tropical garden full of local fruit trees, vegetables, home grown herbs and a lovely stream. It is a beautiful tranquil spot and there is a nice walking trail so visitors can wander around. Cherry Tree Hill which is a small village in the parish of St Andrew is located about 850 feet above sea level in the Scotland District of Barbados. It was originally called Cherry Tree hill because of all the Cherry Trees planted here. Today they have been replaced with Mahogany trees but the name has been retained. It is another beautiful spot on the island and as you descend the hill, the Mahogany trees give way to swaying sugar cane. Cherry Tree Hill is part of the St Nicholas Abbey plantation even though the Abbey is officially located in the next door parish of Saint Peter. National Trust Sugar Museum provides an excellent record of how sugar was produced during both the 18th and the 19th centuries. Sir Frank Hutson is the man responsible for collecting most of the items in the museum and as a result the museum is a tribute to him. The museum is open year round but the most interesting time to visit is during the reaping and harvesting season as this is when you will have an opportunity to compare the machinery of ancient times to the machinery being used today. As you travel around the museum you will learn a lot about Barbados history as well as the production of sugar, molasses, various sweets and of course rum! The sugar museum which is part of the Barbados Trust is open Monday to Saturdays between the hours of 9am and 5pm. St James Parish Church is the oldest parish church on the island of Barbados. Located on the West Coast of the island, it has been lovingly restored. It is really well run and the members of the church give daily tours. Folkestone Underwater Park and Museum is one of the most popular areas in Barbados for scuba diving, snorkelling and swimming. This underwater park features the wreck of the Stavrpmolota which rests 120 feet below sea as well as an artificial reef. Because of the depth of the wreck it is really only recommended for advanced and experienced divers. For snorkelling, we would recommend that you swim around the recreational zone or inshore reef part of the park. This is located just one third of a mile off shore and the snorkelling is excellent with a huge variety of colourful fish and other marine life such as coral and sea sponges may be seen. Because the inshore waters are so calm, Folkestone is also a great spot for both paddle boarding and kayaking. One of the best aspects to the Folkestone area is the museum which offers a visitor interpretation centre open to the public. The museum has a nice aquarium as well as many interesting marine species on view. Also available at Folkestone are a number of tennis courts, a basketball court, a nice children’s playground and some picnic benches. There is plenty of natural shade in the part afforded by both the ancient Mahogany trees, palms and Manchineel trees. Folkestone is also located right beside the Coral Reef Club and the restaurant here is excellent should you fancy a nice lunch. Holetown is without a doubt one of our favourite towns in Barbados. It has everything to offer from fabulous designer shopping located within the Limegrove Shopping centre, to local hand crafts and individual boutiques located on the main street and within the colourful Chattel houses. There are also some really excellent fine dining restaurants such as Tides and plenty of more casual options and lively bars. We highly recommend you spend some time in Holetown during your stay in Barbados. Cattlewash is located on the Eastern coast of Barbados and is just north of the popular Bathsheba Beach. This virtually deserted beach is one of the most beautiful spots on the island. It is very different to the calm East coast as there are huge rolling waves and strong currents making it dangerous to swim here but there are a couple of points on the beach where there is a reef and some protective rocks which are suitable for a more relaxing swim. Cattlewash is one of the longest stretches of beach and fabulous for a walk or horse ride. Cattlewash also has the advantage of having the lovely backdrop of Mellows Hill which is one of the highest in Barbados. Bathsheba is one of our team’s favourite places on the island. It is located on the supremely beautiful and wild east coast of the island. The views are breathtaking with wide white sand beaches, incredible rock formations and wild Atlantic waves which cascade over the rocks. On the beach, there is what looks like huge rock formations but in actual fact were formed thousands of years ago by breaking away from the coral reef. We highly recommend you get out of the car, breath in the wonderful fresh air and take a walk down the beach. The actual village of Bathsheba comprises of a small community of fishing villagers. It has approximately 5000 inhabitants and there are a number of quaint churches. The Saint Joseph Anglican church was built in the town on a hill known as Horse Hill in 1640. There is also a smattering of guest houses, local rum shops and restaurants. In addition there is also a lovely picnic spot at Bathsheba Park where you will find many locals on weekend days. Andromeda Gardens These amazing gardens are nestled on a cliff overlooking the coast in the parish of St Joseph on the east coast of the island. The gardens were originally planted in 1954 by the well known horticulturist Iris Bannochie. It is full of exotic flowers, plants and blooms and is truly one of the finest botanical gardens in the Caribbean. It is most definitely worth a visit if you are a keen horticulturist. Hunte’s Gardens Hunte’s gardens are another lovingly landscaped tropical garden that comprise of an arena sized natural amphitheatre. The gardens were created by Anthony Hunte and there are lots of lovely seating areas where you can sit and just relax and enjoy both the gardens and he sounds of Anthony’s classical music which is broadcast throughout the gardens. In addition there is a very extensive tropical nursery with plants from all over the tropics. Flower Forest is a unique area in Barbados covering over 50 acres of tropical parkland and botanical endeavours. It first opened in 1985 and it includes 7 acres of beautiful wild gardens and is located 750 feet above sea level in the Scotland District of the island. The views from here over looking both Chalky Mount and the stunning East Coast of the island are really panoramic and impressive. The Flower Forest is a wonderful retreat away from the world for a few hours where you can breathe in the freshest air on the island as well as enjoy the tropical flowers and the easterly breezes. The heart of the garden is without a doubt one of the most romantic places in Barbados. When you visit, there is a relaxed and informal café should you wish to have lunch or afternoon tea and you will see flowers all year around. Guided tours may also be arranged but must be done in advance. Our concierge at Villas Barbados will be happy to assist you with this. The grounds are handicap accessible and most of the pathways are pretty smooth although help may be required in certain areas. It is also possible to have a private event, special party or wedding at the Flower Forest. The Flower Forest is open every day with the exception of Christmas Day and Good Friday between the hours of 8pm and 5pm but please note that no entries are allowed after 4pm. Harrisons Cave is one of Barbados’ greatest natural wonders. It is located right in the centre of the island and a breathtaking underground journey brings you past bubbling and flowing streams, deep pools and towering waterfalls. The crystal clear waters of the cave have created an amazing collection of stalagmites and stalactites which adorn the caves. Harrisons Cave is open every day except some bank holidays between the hours of 8.45 am and 3.45 pm. There is a 10 minute pre show where you will learn about the history and the origins of the cave. This is followed by a tram ride through the underground caverns and caves. It is an amazing adventure and truly one of the islands most natural wonders. Welchman Hall Gully is located in the centre of Barbados, just 2 minutes from Harrisons Cave. This tropical paradise is definitely worth a visit. It is an extremely peaceful and beautiful spot with an abundance of stunning tropical flowers, plants and trees. You will also almost definitely see troops of Green Monkeys frolicking in the trees. Welchman Hall Gully is open every day between the hours of 9am and 4 pm but a great time to go is mid morning between 10am and 1.30pm as this is when the monkeys are being fed. 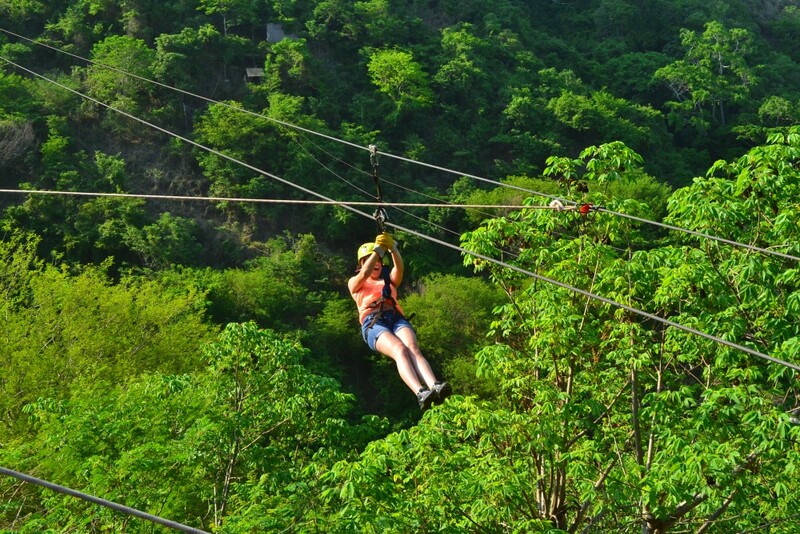 Zip line Adventures The Aerial Trek Zip line is one of the most popular attractions in Barbados for our family guests. It has scored really highly by Zagat and the adventure begins at base with a good safety briefing. There are 8 platforms in total and there are experienced guides who will provide you with information on the interesting eco systems that you fly over such as the Jack-in-the-Box gully. St John Parish Church is one of the most beautiful of the 50 or so parish churches located on the island of Barbados. It is well worth a visit even if it is just to see the spectacular views to the sea that you get from the site of the church. Codrington College is located in St John and blends beautifully with the surrounding trees and hills. The buildings of Codrington College could have been lifted directly from those at Oxford University. The college is affiliated with the University of the West Indies and functions today as a theological college of the Anglican Church. It was given to the institute of education in 1710 by its former owner Christopher Codrington who as a planter, soldier and philanthropist. Codrington College is open every day and there is no entrance fee. Orchid World is without a doubt one of the finest orchid gardens in the entire Caribbean. It is set in over six acres of tropical gardens in the parish of St George. It is located high up at an elevation of 810 feet above sea level and has fabulous views overlooking the sugar cane fields of both St John and St George. This location is perfect for growing orchids. There is a vast selection of orchids on display from all over the world including the USA, Hawaii, and Singapore, Thailand as well as some gorgeous local Barbadian specimens. The collection of orchids is truly spectacular. The tour itself is self guided and takes you along lovely meandering paths, past a waterfall and coral grotto which eventually leads you to the five orchid houses. There are lots of other interesting tropical plants and shrubs en route including the Scomburgkia tree which blooms beautifully once a year. There is also a fabulous simulation of the conditions which orchids grow in the rain forest. It is very spectacular as the orchids are suspended in mid air with their roots completely free of soil. Orchid World is open daily between the hours of 9am and 5pm and is also available for special events and weddings. The whole area is lovely peaceful and tranquil. Gun Hill Signal Station located in St George parish is really well restored and set amongst lovely tropical gardens. It is managed nowadays by the Barbados National Trust. It houses some really interesting military memorabilia whilst at the same time offering its visitors captivating views of Barbados. In high season between the months of January and May, the National trust hosts a cocktail party on the Friday closest to the full moon. You will be offered sun down cocktails together with a selection of Bajan tapas. There is an entrance fee but all visitors are welcome. The Gun Hill Signal station is itself open every Monday to Saturday between the hours of 9am and 5pm. St George Parish Church is one of the oldest and most impressive parish churches on the island of Barbados. It was originally built in 1637 and then was completely rebuilt in 1784 after the original church was destroyed by a hurricane in 1780. The new church was one of the only buildings to survive the great hurricane of 1831. The church itself is rich in treasures which have been kindly donated by both past and present parishioners. There are several impressive paintings including the “Rise of Power” painting by Benjamin West, the American President of the Royal Academy. Another paining in the church which has an incredible history is the painting commissioned by Hon Henry Frere. He and the rector of the time fell out and as a result the masterpiece was moved to one of the plantation houses where it remained for 30 years. The painting was reported to have been damaged by a local thief who poked the eye out. Today the painting is back in St George’s church and the eye is covered by a pirates patch! Atlantis Submarine is one of Barbados’ top attractions. It was awarded the achievement of excellence award several years in a row and our clients at Villas Barbados especially the younger ones have given it big thumbs up. You will get to experience and explore the amazing sea life surrounding Barbados on a real life submarine. The submarine descends to depths of 115 to 150 feet below the sea and passengers can see the abundance of marine life and ship wrecks that were previously only seen by experienced divers. The submarine has large windows for really clear viewing and there is a VIP package which entitles you to priority boarding as well as the best seating. Please enquire with our complimentary concierge department for further details. George Washington House is a wonderfully restored Plantation House where the first President of the United States stayed with his brother in 1751. They both stayed at the house for over two months when it was a private residence. It was an important chapter in George Washington’s life as soon afterwards he went on to become President of the United States. His visit to Barbados was unique as it was his first and only visit outside of the United States during his lifetime. An interesting fact about George Washington’s visit is that he contracted Small Pox during his stay on the island. Luckily he was successfully cured by Dr Lanaham. If not for his success in curing George Washington, the fate of the United States might have been somewhat different. The original house now contains a museum showcasing both 18th and 19th century memorabilia and is set in beautifully landscaped grounds. It gives excellent insight into life during this era. The ground floor of the house is furnished in the same way as it might have been during the 17th century with four poster beds, lumpy mattresses and mosquito netting. The second floor on the other hand is furnished with items from the mid eighteenth century. There is also a gift shop and a café should you wish to have lunch or afternoon tea during your visit. After George Washington and his brother stayed at the house, it was acquired by the British Government and used as a Garrison. Once the British troupes’ left Barbados in 1905, the house was returned to private ownership and then restored in the year 2000. The George Washington House has the privilege of being part of the UNESCO world Heritage list. St Ann’s Fort is located in the historic Garrison area in the parish of St Michael. The garrison area in itself is quite historic as it was the largest garrison to be built throughout the entire British colonies during the eighteenth and nineteenth centuries. It was set up originally to benefit the British Royal Armed forces and used right up until 1906. It was first built in 1705 and named after her Majesty Queen Ann. The history of communications on the island at the time is really interesting. There were six signal stations which each used flags and other coding systems to communicate with one another. If the stations needed to raise an alarm they used these flags and codes to get messages to each other. The flag poles and other memorabilia are still on display. St Ann’s Fort is famous for the fact that it has the finest collection of 17th century English iron cannons known to exist anywhere in the world. Locally based Major Mike Hartland offers personalised tours of this historic fort for up to 3 people at any one time. The fort which was recently converted into a museum has some particularly good and fine examples of cannon including an Elizabethan gun which dates as far back as 1593 and is the only know one to exist in the world. In addition there is a cannon from Cromwell’s republican arms dating back to 1652. The physical structures of the buildings are really well maintained today and are still used as the official base for the headquarters of the Barbados Defence Force. If you would like a private tour with Mike Hartland, you can call him on (246) 427 1436 or ask our concierge department at Villas Barbados and they will also be happy to make the arrangements for you. Barbados Museum and Historical Society is located in what was originally a military prison at St Ann’s Garrison. Due to the fact that during the 18th century there were a lot of military conflicts throughout the Caribbean and in particular in Barbados between England and France, there were a lot of buildings forts, garrisons and military buildings built during this time. Barbados was the British headquarters during this time of conflict for the Windward and Leeward islands. Where the Barbados Museum and Historical Society is now based was originally built as prison in 1853 and was one of only twelve such prisons built throughout the British Empire. By the late 19th Century all the conflict had ceased and the last of the military regiment left in 1906 which was when the Museum was formed. The Barbados Museum and Historical society is open seven days per week between the hours of 9am and 5pm. It is closed for a half day on Sundays at 2pm and also on all local bank holidays. The buildings are also occasionally closed as they may also be hired for private events. St Patricks Cathedral is a catholic cathedral located in the capital city of Bridgetown on the island of Barbados. There are only two cathedrals on the island. The other is the Cathedral of St Michael which belongs to the Protestant denomination. St Patrick’s Cathedral was originally built in 1848 but then was mostly destroyed by fire in 1897. The new cathedral which stands on the same spot was rebuilt in 1899 and is a stunning architectural masterpiece. It is now the seat of the Catholic diocese of Bridgetown. Museum of Parliament which was originally the parliament building of Barbados is the third oldest parliament in the Commonwealth. It was originally established in 1639. Through the use of interactive audio and video, the exhibition tells the story of all the great achievements over the years. It is a small museum but has some really high quality exhibits making it a great pleasure to visit. The museum is closed on Tuesdays and Sundays. Nidhe Israel Museum and Synagogue has a great history as it was the earliest constructed synagogue that is still in use in the Americas. It is located just a short walk from Broad Street in Bridgetown and was originally built in 1654. In 2010, a mikvah which is a ceremonial bath and natural spring was beautifully restored. The site includes a temple, the cemetery as well as an interpretive and interactive museum. It is possible to take a tour of the art museum which originally opened in 2008 and renovated synagogue during the week from Monday to Friday between the hours of 9am and 4pm. It is closed between 12 pm and 1pm each day. The museum traces the history of the Jewish community in Barbados and the roles they played in both the sugar industry and the business community of the island. Banks Brewery Banks beer is one of the most popular on the island of Barbados. They also make a range of stoutes, malts and shandys. The brewery which started in 1961 now offers a tour and souvenir shop. The tour itself takes approximately 30 minutes and afterwards it’s possible to take time to relax and enjoy complimentary samples!! The brewery is located in Wildey in St Michael just of the main ABC highway. The opening hours are Monday to Friday between the hours of 8.30 am and 4.30 pm each day. 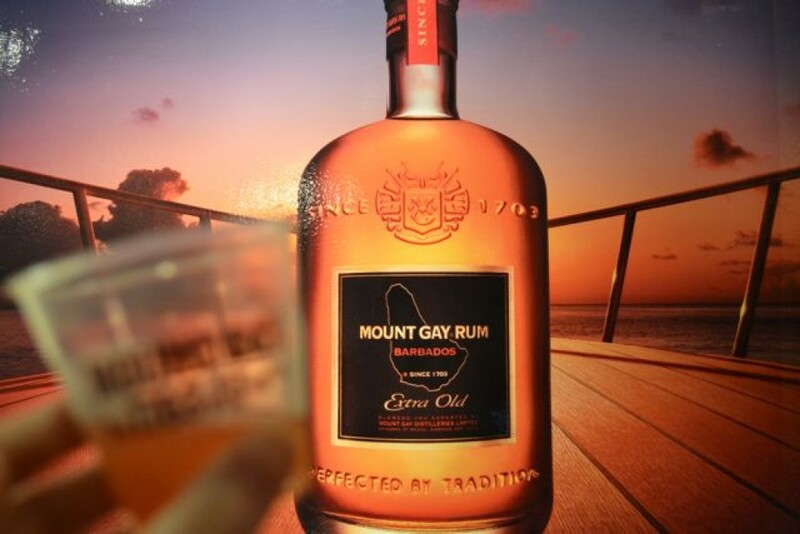 Mount Gay Rum Distillery Mount Gay is Barbados’s most popular and well known rums. It also has the distinction of being the world’s first rum dating all the way back to 1703. Should you visit, you will be met on arrival by friendly guides who take you on a tour of the interesting and rich history of the distillery. Like all good tours, it culminates in a fun filled tasting session. The distillery which is located at Spring Garden Highway in St Michael is open Monday to Friday between the hours of 9.30 am and 3.30 pm. On Tuesdays and Thursdays, there is a Bajan buffet lunch. Medford Craft Village is situated on a hillside just 10 minutes away from the capital of Bridgetown and is a gallery full of genuine pieces of wooden sculptures made from ancient mahogany trees from the island. They are all created and hand crafted by Reggie and each piece is unique. Reggie is well known around the world and his pieces have been exhibited throughout the Caribbean, Europe and the USA. But his biggest collection may be seen in his gallery in Barbados. When you visit his gallery, you will get a unique and personal experience on how Reggie creates these unique pieces via a sanding process. If you buy a piece at the workshop Reggie will personally sign it for you. Foursquare Rum Distillery and Heritage park If you are a rum lover, this is a must place to visit whilst you are on the island of Barbados. It is locate near Six Roads in the parish of St Philip and is one of the most advanced distilleries found anywhere in the world. It is located in an amazing old sugar factory and it produces several excellent brands of rum. One of the best known of these rums is Rum Sixty six which is distilled on the gentle slopes of St Philip in Barbados. If you do visit, there is a sign posted walking tour and the location is just about 10 minutes from the airport. In addition on the grounds, there is an old fold museum, a sugar factory museum and also a historic bottling plant. The distillery is open to visits on Monday to Friday between the hours of 8am and 4pm. Sunbury Plantation House is one of the best examples of a superb sugar estate on the island of Barbados. Sunbury House was build over 300 years ago and has an interesting and very rich history. It was originally Chapman’s House but the Sunbury family renamed it when they bought it in 1767. The building which is magnificently furnished full of amazing Bajan antiques, china old prints and silver is also one of Barbados’s most important listed buildings. The cellars which were originally used to store route vegetables now house the Caribbean best collection of antique horse carriages. What makes Sunbury really stand out from other plantation houses you might visit on the island is the fact that it is the only one where you can view every room. The grounds are also extensive and are full of old antiques as well as garden and farm memorabilia. The guides at Sunbury are also excellent and will give you a vivid insight into life during Colonial times. After your visit, it is possible to enjoy, lunch, afternoon tea or drinks in the restaurant and bar. It is also possible to book Sunbury House for private functions and events. Bottom Bay is a little known beach located on the very south east of Barbados located between Cave Bay and Palmetto Bay. It is considered by the locals to be the best beach on the island. Ragged Point and East Point Lighthouse was originally built in Barbados in 1875. It is a conical tower that reaches over 97 foot or 29.5meteres in height. It is still used today and it an important focal point for incoming aircraft to the island. It flashes every 15 seconds. As well as being important functionally, the Ragged Point lighthouse is also one of the most picturesque and it can be viewed easily from the Atlantic side of Barbados. It is also the most easterly point of the island. Although the lighthouse is closed to the public, it is still possible to get up close to see it and take photos. The Boardwalk was the first of its kind to be built on the island. It is wide with plenty of room for walkers, cyclists and runners. It has great views of the sea the whole way along and there is a lovely beach at the far end. There are also lots of good restaurants along the way if you get hungry. It is only a mile long due to the fact that when it was built, they were mindful of conserving nature and the local habitat, reefs and beach. It is a great for a jog, early morning or evening stroll or if you like the sun, then at any time of the day. A really nice thing to do is get up early when it is nice and quiet and walk from Accra Beach to the market and have breakfast there. They do excellent pancakes, granola and coffee. The boardwalk is also accessible for a wheel chair which is good to know and there are plenty of places to sit along the way. It is a lovely friendly and relaxed spot in Barbados. Barbados Concorde Experience The Concorde experience in Barbados is a little talked about but wonderful exhibition of Concorde in its heyday. Concorde was a British/French supersonic turbo powered jet that operated between the years of 1959 and 2003. Never before or since has there been a plane that operated at the same speeds or faster than the speed of sound. The name Concorde was chosen because it means harmony or union to reflect the great co-operation between British Airways and Air France at the time. In its heyday, Concorde was frequented by film stars, rock stars, royalty and the world’s wealthiest. Even Queen Elizabeth flew Concorde to Barbados in 1977. Everyone wanted to fly on the plane and Barbados was one of the few chosen destinations by British Airways. Concorde is without a doubt one of the reasons why Barbados has in fact become one of the chicest islands in the Caribbean. Sadly Concorde was retired in 2003 after the tragic Air France crash were all its passengers and crew were killed on a flight destined for John F Kennedy Airport in New York. The aircraft ran into debris on takeoff at Charles de Gaulle and punctured a tyre which in turn set fire to the engine. Even though Concorde no longer graces the sky, you can view it at the Concorde museum which is located directly beside Grantley Adams International Airport in the parish of Christ Church in Barbados. It opened on April 16th 2007 and is open for visitors and can also be hired for a private event. Oistins was originally a fishing village located on the South of the island of Barbados between the well known Miami Beach and Dover beaches. It originally got its name from an early landowner called Austin who was reported to be wild and drunken and quite infamous on the island. It still operates as a fishing village but it is also a local and tourists hang out. Oistins especially comes to life on weekend nights and in particular on a Friday night when the infamous Fish Fry at Oistins takes place. As the name suggest, fish is the main attraction with lots of vendors cooking the freshest of fish straight from the sea. You will find excellent tuna, swordfish, marlin, flying fish and mahi-mahi. For non fish lovers, it is still worth going as there are other foods available such as chicken and pork. It is possible to have your food either grilled or fried and it will be cooked right on the spot for you. As well as great food, there is also live music on many nights. You can join in with the locals and dance to old country and western tunes as well as reggae and calypso. In addition, there are arts and crafts on sale with items such as local jewellery, pottery, wood carvings, paintings and prints. Food is normally served from 7pm but we would recommend you go a bit early and have a sundown cocktail and watch the sunsets. It’s a very popular spot and if you come after 8pm, you might expect to have to queue for your food! Oistins is very casual and relaxed so do dress down!